SP!NNA has launched two projects in Central Asia; one in 2013-2014 and the second was launched in 2015-2016. 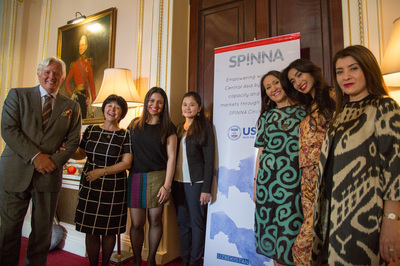 The overall objective of the first project was to increase the competitiveness and visibility of women in Textiles and Clothing from Central Asia, primarily Uzbekistan and Kazakhstan, by creating sustainable business practices and linkages both locally and internationally, through the creation and strengthening of SPINNA Circle hubs. 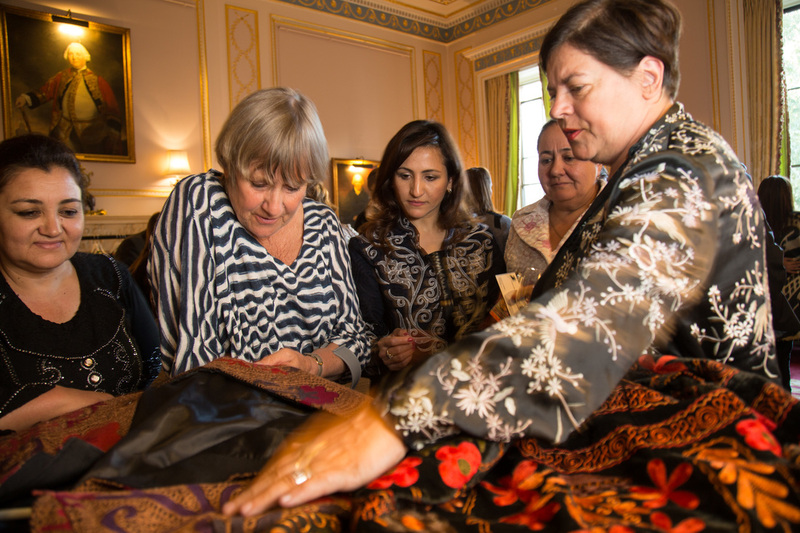 The project aims to capitalise on the wealth of local historically significant textile skills still practiced by women in the regions of Central Asia and aims to reconnect these cities and communities along the historic trading routes in a thoughtful and ethical way to enable Central Asian women to establish new modern businesses and empowered role models for modern Central Asian women. 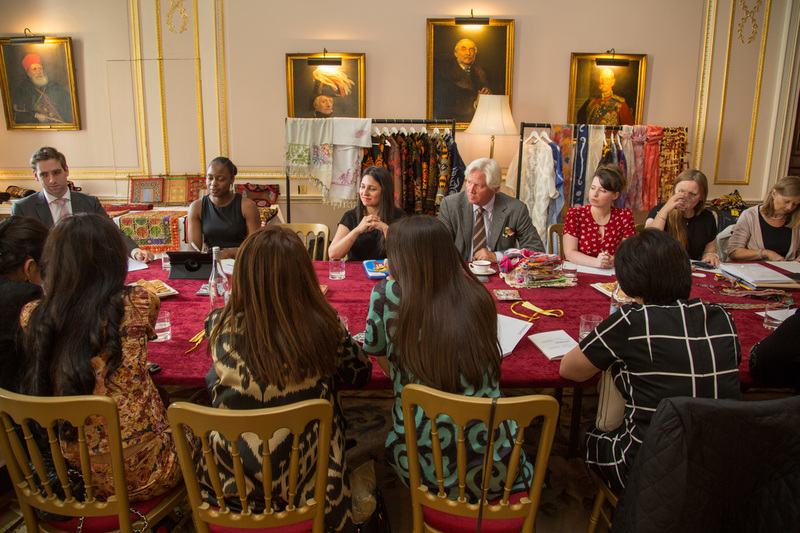 The focus was to assess the design and textile industry in Uzbekistan and Kazakhstan, identify needs, train women entrepreneurs on specific quality standards and design, and link groups of women in the region with international designers and buyers for mutually beneficial gains. Ikat comes from the Malay word mengikat meaning to tie or to bind. Ikat fabric is made from yarns where either the warp or the weft, or in some instances, both sets of yarns are tie-dyed prior to the cloth being woven on a simple loom. 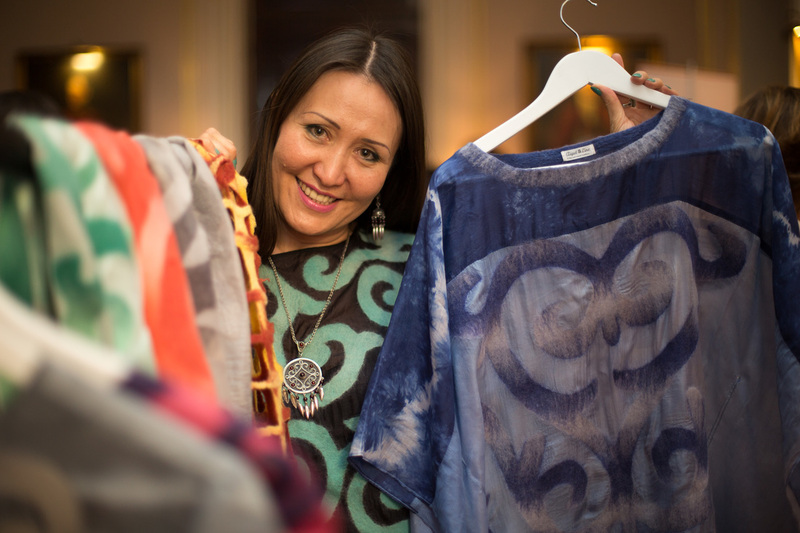 ​The dyeing process involved is highly skilled and results in sometimes multiple dye-baths being used, resulting in brightly coloured eye-catching designs with a distinctive feathery edge to the designs, where the ties have shifted around a little in the dyeing and warping-up process. In Uzbekistan, most ikat designs are warp-ikats, where only the warp-threads are tie-dyed prior to weaving. The entanglement of animal fibre in all directions, usually involving heat, moisture and pressure applied to the animal fibres, appropriately done to form a soft and homogeneous mass. The technique was originally devised in nomadic communities in Central Asia from the 5th to 3rd centuries BCE. ​Some early impressive examples of an inlaid and appliquéd felt designs form the Altai mountains region of Pazyryk can be seen in the Hermitage museum in St Petersburg, one of the greatest museum collections of artefacts from Central Asia in the world. Suzani literally means needlework, and the term has become associated most specifically with large embroidered panels made throughout Central Asia, particularly in Uzbekistan. Patterns are drawn out over several narrow loom-widths of fabric, which are embroidered by individual women with brightly coloured yarns usually in very fine chain stitch, or so-called Bukhara couching stitch. These narrow strips are then sewn together to form large rectangles of fabric, used as wall-coverings, and throws. Within Uzbekistan, each region is associated with a different series of traditional patterns, motifs and embroidery stitches, regarded as authentic to that area. Skill in embroidery is deemed as a very important part of a women traditional value in Central Asia, and girls may help each other to compete highly refined embroidered items for their trousseaus. Popular modern styles include designs based on Ottoman embroidery designs. Many types of embroidery use a tambour hook, including Central Asian Suzani embroidery. Tambour embroidery is worked on fabric stretched tightly in a frame, which is then attached to a lap or floor stand to allow the embroider to use both hands. Chain stitch embroidery using a tambour hook is worked from the top surface of the fabric, with the right side of the work, facing the embroiderer. However, when a tambour hook is used for beading and sequins, the beads are threaded onto the working thread and the design is worked from the backside of the fabric, with the wrong side of the fabric marked and facing the embroiderer. Tambour embroidery is also done with a special hand machine for an all over look.